On July 2, 2018, SVREL (Supreme Ventures Racing & Entertainment Limited) has announced that changes will be made to the betting menu when its Tote System operations are upgraded this month. Mr. Armond explained that the new system, which is slated to be installed between July 11 and July 14, will allow for an expansion of the betting options available at the Park and the 68 Off-Track-Betting (OTB) outlets. “The new system will see the popular Single Winner Bonus being added to the Pick-5, Placepot 8 and Placepot 7 wagers. The Pick-5 and Placepot 8 wagers are sold exclusively on local racing, while the Placepot 7 wager will now become part of the betting menu on simulcast wagering,” he said. “Single Winner Bonus”, otherwise called “Single winner”, means the holder of the only ticket selecting the only winning combination as required by the specific wager. In the case of a dead-heat for any of the finishing positions as required for the specific wager where two or more winning combinations are declared, “single winner” means the holder of the only ticket selecting a winning combination. In the case of a scratched horse, where the favourite in the same race being substituted for the scratched horse wins, resulting in a single ticket having two winning combinations, the holder of the single ticket in such an instance will be entitled to the “single winner bonus”. 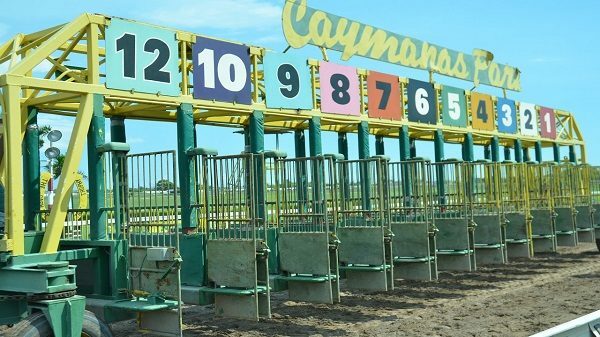 “As you are probably aware, Racing at Caymanas Park has been operating with the United Tote totalisator system for the past 26 years. In an effort to modernize our betting system, a decision was made to upgrade our Pari-Mutuel system to that provided by AmTote International,” Mr Armond said. Director of Racing Chris Armond says changing the existing United Tote totalisator is one element of a raft of modernization initiatives taking place at Caymanas Park, since Supreme Ventures Limited acquired operations in March of last year.